Rezones specified properties from a Commercial 1 Zone to a Mixed Use Zone to facilitate a transition to residential / mixed use. 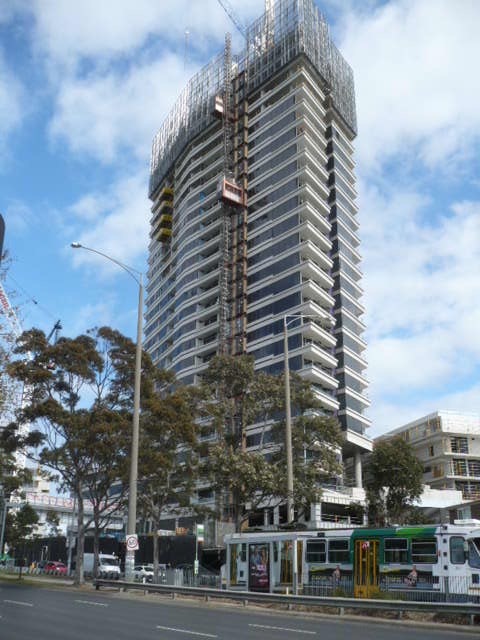 Updates local policy within Clause 21 (Municipal Strategic Statement) to reflect the strategic directions for the St Kilda Road South Precinct and guide changes in land use. Introduces a new schedule to the Design and Development Overlay (Schedule 27) to establish design objectives and requirements to manage the scale and form of new development, including maximum building heights and street-wall requirements. Applies new individual Heritage Overlays to selected properties in Wellington Street, and makes related changes to the Port Phillip Heritage Review. Applies new schedules to the General Residential Zone in Wellington and Carlisle Streets and rezones part of Wellington Street from the General Residential Zone to a Neighbourhood Residential Zone. Go to Council’s website Amendment C122 webpage to find out about the amendment or click here to read more about the Framework and its development. Port Phillip Council was the ONLY Council which had not had rezones approved. The process took 3 years. The previous State government introduced the residential zones scheme under which Councils could provide greater certainty about the types of development that can be expected in residential areas by dividing areas categorised as residential into different zones. The greatest restrictions on developments are in Neighbourhood Residential Zones (NRZ), with an 8 metre height limit and limits on the number of dwellings which can be built on a lot. Stage 1 (Amendment C113) – Council adopted a ‘Stage 1’ translation of the New Residential Zones and resolved to request the Minister for Planning undertake an amendment (Amendment C113) to implement the new residential zones. Stage 2 (Amendment C114) – The Stage 2 built upon the earlier Amendment C113 and considered further potential changes to zoning for specific areas, following consultation with affected property owners. An alternate option (Amendment C123) – Made the same administrative changes as C118 but also identified some additional areas to be considered for inclusion in the General Residential Zone (rather than in the Neighbourhood Residential Zone). The Committee completed its hearings in November 2016. Tony Browne of JAAG made a submission and presentation to the Committee supporting the adoption of the proposals even though they are not ideal and somewhat watered down in terms of neighbourhood protection. In December 2017, the Minister approved Amendment C123 generally in line with the zones as proposed and adopted by Council.